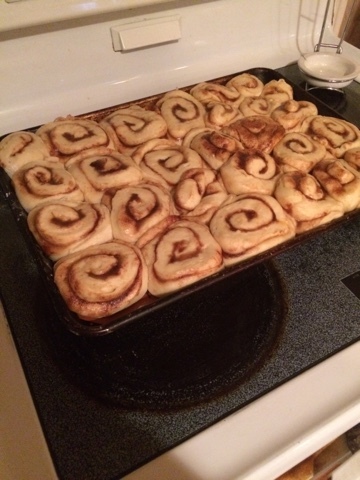 These are the best cinnamon rolls I have made in a LONG time! Combine warm milk and yeast and give a minute or two to combine. Add sugar, melted butter, eggs and mix. Gradually add the 4 cups of flour. I did this in my kitchen aid mixer and allowed it to work about 5 minutes. My kitchen was very humid this morning because we woke up to torrential rains. So you may need every bit of that flour, or you may need less, that's the reason you want to add it gradually. Once you see your dough coming together and forming a nice smooth ball, allow the dough to rest for an hour. I put mine in my dehydrator. It has a bread raising setting, to warm it up and keep the yeast happy. You could also put it in a very low oven to raise. Either way. Roll it up and cut into slices. 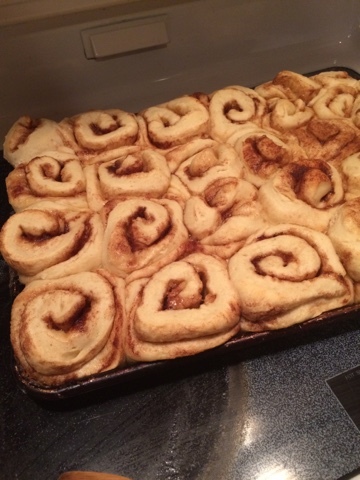 You get approximately 12 or so cinnamon rolls from this recipe. 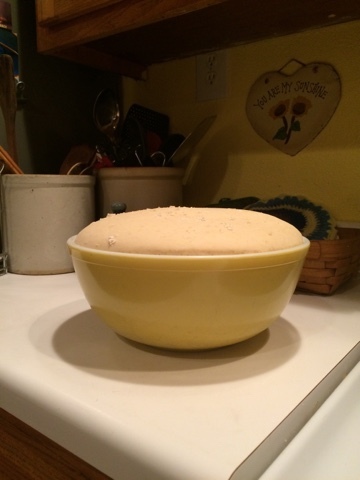 Let dough rest again for about 15 minutes. Bake at 350* for about 15 minutes or until slightly browned. While resting or baking you can make your favorite glaze. 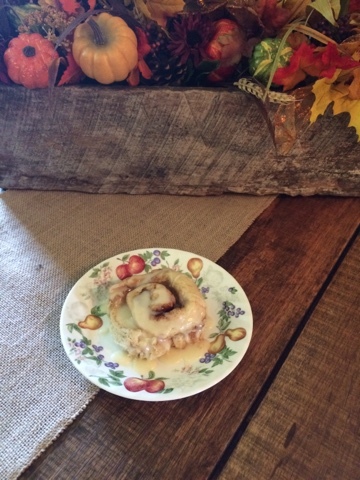 I have in the past made cream cheese icing, buttercream, but for these cinnamon rolls I kept it very simple with powdered sugar, vanilla and cream. It was rich and SO, so good. I took a cup of powdered sugar and a tsp vanilla and slowly poured a bit of cream in the mixture. Stir, if too thick, pour a bit more... continue til it is pourable and delicious! Pour over warm rolls and enjoy!! !